NAGPUR: In order to train its workers and that of other infrastructure agencies, MahaMetro has set up a safety park on its plantation Little Woods’ premises on Hingna Road. “This hall is also equipped with display screen, projector and audio system. Posters of best practices followed in the project have been put up there. Mannequin displaying personal protective equipment (PPE) is also kept there. PPE is clothing and equipment designed to protect workers from physical hazards when at work,” said Dixit. “The second hexagon will have an excavation prototype, models using safety control measures during excavation, prototype of pile rig machine, pile winch machine, excavator, tower crane and safety control measures. A LED screen will show audio visuals of safety precautions and measures being taken,” said the MD. “Safety control measures and practices adopted during segment launching have been showcased by prototypes of launching girders and ground support structures, including display of traffic safety precautions in the third hexagon. Prototypes of tyre mounted crane, trailers and traffic cones, water barriers, caution tapes, baton lights and traffic flags have been displayed there,” he said. 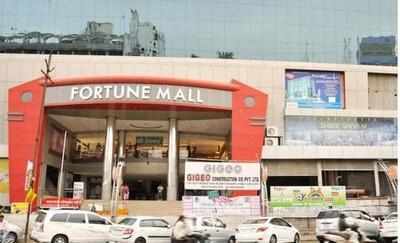 Nagpur: Arbitrator KJ Rohee, a retired HC judge, has directed Fortune Mall developer Gigeo Constructions, owner Chhagan Patel, and land owner Subhash Buty from selling, alienating or leasing any space or shop in the mall, also known as Buty Palace and proposed Pulse Care Hospital, till final order of the arbitration case. The arbitrator has also asked the developer to deposit Rs40 crore with it. Appointed by the Nagpur bench of Bombay High Court (HC), Rohee passed the interim order on October 31. SS Fabricators and Manufacturers, and one more party had filed a case with the HC, which had appointed the arbitrator. Following the interim order, petitioners’ advocate Shyam Dewani issued a public notice warning public at large not to enter into any transaction for sale, purchase, rent, lease, leave and license etc in relation to spaces or shops in the mall situated at Munje Square, Sitabuldi. The petition and interim order show that the petitioners had purchased 15 shops on the mall’s second floor by paying Rs5 crore of the total deal worth Rs5.50 crore in 2005. Since then, the developer has allegedly not given possession of the shops. The petitioners had filed a case with the district court in this regard. The court reportedly restrained the developer from selling any space or shops, and also asked them to submit a bank guarantee of Rs10 crore. The developer challenged the order in the HC, where the two parties arrived at a settlement, where the developer was supposed to pay Rs12.50 crore to the petitioners and resolve the case. Dewani told TOI the developer did not comply with the orders of the district court as well as the HC. “Post dated cheques given by the developer to petitioners also bounced. Petitioners filed a contempt petition in the district court, which is pending,” he said. In the arbitration, the petitioners have asked for Rs44.26 crore from the developer, following which the arbitrator asked the respondent to deposit Rs40 crore. The mall has been facing controversy for various reasons. It does not have fire compliance or occupancy certificates, and also has violations of building plan. NMC fire and emergency services department has directed snapping of power and water supply to the mall. The developer has reportedly submitted an application to revise the building plan. Nagpur: The state’s Public Works Department (PWD) has started to asphalt a stretch of VIP Road between Deekshabhoomi Square and Alankar Square even though it is in a good condition. Shockingly, the road is also marked for concretization under Nagpur Municipal Corporation’s (NMC) cement concrete road project phase-III. The asphalting is meant to ensure a smooth ride for delegates at the Indian Roads Congress’ (IRC) convention from November 22 to 25 at Divisional Sports Stadium, Mankapur. The work is sheer waste of public money, and rubbing salt on the wounds of citizens facing serious problems due to bad roads across the city. The PWD contractor started asphalting the right side of the road from Deekshabhoomi Square on Monday morning. The stretch up to main gate of Deekshabhoomi had been completed by evening. PWD officials told TOI the road on both sides will be asphalted up to Alankar Square. They also said more roads up to Mankapur stadium will be asphalted. This is being done at the cost of some lakhs. The stretch from Deekshabhoomi Square to Kachipura Square was repaired for Dhammachakra Pravartan Din at Deekshabhoomi last month. The NMC hotmix department had undertaken patchwork so the entire stretch was without potholes or bad surface layer. This is clearly visible on the side of the road where asphalting is yet to commence. The stretch between Kachipura Square and Alankar Square too is in satisfactory condition. An NMC official told TOI the stretch between Deekshabhoomi Square and Alankar Square is part of package no-IX under cement concrete road project phase-III. “Total cost of the package is Rs 20.58 crore. The preliminary works like survey of utilities below the road, nullahs etc is going on. Concretization will start in a couple of months,” the official said. The official added the list of roads in phase-III was also sent to state’s PWD a couple of months ago. An official from PWD said the road was being repaired on NMC’s request. Another PWD official said the road comes under PWD’s jurisdiction so it was being asphalted. “We are repairing all PWD controlled roads in the city,” he said. NMC official said they had no idea about PWD plan to asphalt the road. 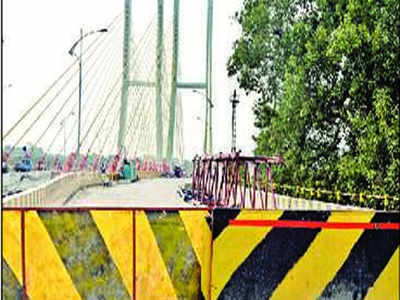 “I came to know about the work in the afternoon and requested PWD chief engineer Ulhas Debadwar to look into the issue,” he said. Debadwar is also holding officiating charge as chief engineer of NMC. Activist Anil Wadpalliwar demanded an inquiry and stringent action against PWD officials. “Many roads are in a bad condition. The roads under PWD, especially Amravati Road, road from Ambazari Garden to University Campus Square, Inner Ring Road, roads linking city with adjoining towns etc are in bad condition. Still, the road connecting airport to Mankapur Stadium is being asphalted only for delegates,” he said. Wadpalliwar added an inquiry should also be conducted into the funds sanctioned by PWD for the event. “IRC should spend funds for its event, not the cash-strapped government,” he said. He also said PWD is part of the government, which should give similar funds for repair of roads to NMC and NIT. Nagpur: The tussle for ownership of a piece of land in Swawlambi Nagar, mouza Bhamti in South-West Nagpur, seems to be tilted against Nagpur Improvement Trust (NIT) as the city survey department has rejected the claim of the planning authority and upheld the ownership of a private citizen. NIT has claimed ownership as well as reservation of veterinary hospital on the land on which a builder — Prayag Developers — is constructing a flat scheme on behalf of owner Nalini Bute. TOI, on August 8, had reported that Nagpur Municipal Corporation (NMC), for a second time, had sanctioned a flat scheme on the land despite NIT claiming its ownership and reservation. Taking cognizance of the TOI report, municipal commissioner Virendra Singh had issued stop construction order and constituted a three-member committee of additional municipal commissioner Ram Joshi, deputy municipal commissioner Nitin Kapadnis and assistant director of town planning Pramod Gawande for conducting an inquiry. As part of the inquiry, the NMC had asked city survey department to give its report. Accordingly, the department conducted inspection on October 11. NIT divisional officer (west) Pankaj Ambhorkar, NMC junior engineer Dipak Meshram, member of Bute family Nikhilesh and president of The Process Server Cooperative Housing Society Sanjay Nakhate were present during the inspection. The city survey department submitted a report to the NMC on October 16 rejecting the NIT’s claim. “The department had inspected the plot earlier on January 27, 2017 also and issued a record (Ka Prat). The inspection and verification of documents clearly showed that the land belongs to Bute. Also, Bute has possession of the land. Therefore, the NIT’s demand to cancel our record will be improper,” the city survey said. Now, the NMC’s committee will submit its report to Singh following which the latter will take a decision. An NIT official told TOI that an appeal would be filed with the office of superintendent of land records (SLR) that is superior authority of the city survey department. Earlier, the NIT had alleged that it was nothing less than a scam to issue the record in favour of Bute. “NIT is a government agency and also planning authority in the city. We are residents of the layout in which the land is situated. NIT has developed a library adjacent to it and leased out the other side. How can this particular land belong to a private person,” Nakhate questioned. Following the interim order, petitioners advocate Shyam Dewani issued a public notice warning public at large not to enter into any transaction for sale, purchase, rent, lease, leave and license etc in relation to spaces or shops in the mall situated at Munje Square, Sitabuldi. The petition and interim order show that the petitioners had purchased 15 shops on the malls second floor by paying Rs5 crore of the total deal worth Rs5.50 crore in 2005. Since then, the developer has allegedly not given possession of the shops. Dewani told TOI the developer did not comply with the orders of the district court as well as the HC. Post dated cheques given by the developer to petitioners also bounced. Petitioners filed a contempt petition in the district court, which is pending, he said. Nagpur: Decks have been cleared for a new road to divert traffic while the stretch along Futala Lake is closed for redevelopment. Dr Panjabrao Deshmukh Krishi Vidyapeeth (PDKV) has agreed to hand over its lush green land for the new road connecting Bharat Nagar Square on Amravati Road to Maharashtra Jeevan Pradhikaran (MJP) office at Telangkhedi Hanuman Mandir Road. TOI was the first to highlight the proposal by Nagpur Municipal Corporation (NMC) and MahaMetro to develop the 18 meter wide and 500 meter long cement concrete road. PDKV registrar Prakash Kadu told TOI the executive council headed by vice-chancellor gave consent to hand over the land. “The proposed road is reserved in city’s development plan (DP) approved in 2001. Therefore, PDKV has cleared the proposal,” he said. Kadu said the proposed road will not have any impact on PDKV’s Centre of Excellence for Citrus at the site. “PDKV has imposed a condition that NMC will construct and hand over compound wall along the road on both sides to protect its remaining land. Also, PDKV has asked for erection of two gates since the land will be divided into two parts because of the road,” he said. PDKV gave clearance for the project last month and submitted it to the agriculture department. Now, the state government will approve it. The road will come up where tall trees planted by PDKV are situated. PDKV’s Centre of Excellence for Citrus will be on the right side of the road. Developed under Indo-Israel project, the centre produces over a lakh saplings of orange and mossambi, which are sold to farmers every year. NMC sources told TOI city MP and union minister Nitin Gadkari or CM Devendra Fadnavis directed PDKV, so the issue was resolved without any delay. “PDKV usually refuses to give land for development projects. PDKV delayed handing over land for new road behind Morbhavan for years. PDKV is also not giving land for proposed cycling and jogging track along VIP Road,” sources said. Green activists are likely to condemn the decision. Around one hectare lush green land will be converted into the road. A large number of big trees, including teak, are situated on the land. Also, the area is home to various species of birds, monkeys etc. Over 500 trees will need to be chopped. The movement of vehicles will also have an impact on greenery as well as resident birds and animals. The development plan also includes widening of the road from MJP office to Telangkhedi Hanuman Mandir to WCL Head Office. This will also bring down some trees. The road will be permanent, and will be open even after completion of Futala Lake redevelopment project costing Rs112 crore. 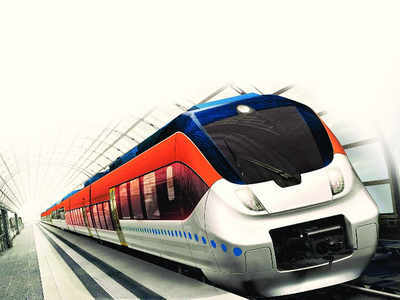 MahaMetro, which has been assigned the redevelopment project, will also construct the road. For the redevelopment project, MahaMetro has started tendering process for construction of tunnel road and viewers gallery in place of existing road along the lake. As per the revised plan, the gallery with seating capacity of over 4,000 will come up facing the lake. The tunnel road will be constructed behind the gallery. Both will come up in the space taken up by the existing road. Parking and restaurants will come up behind the tunnel road, where the restaurants used to exist till last month. Nagpur: For the first time, the city’s air is being tested for presence of harmful heavy metals and elements emitted by firecrackers. The monitoring is being carried out by regional office of Maharashtra Pollution Control Board (MPCB) as per recent directives of Supreme Court. During a recent hearing, the apex court directed Central Pollution Control Board (CPCB), a statutory body under the ministry of environment, forest and climate change (MoEFCC), to monitor air quality in all cities 7 days before and after Diwali. Starting from October 31, the air quality will be monitored extensively till November 15, informed MPCB’s regional director Rahul Wankhede. The board is carrying out monitoring at three stations: Udyog Bhavan, Civil Lines, Government Polytechnic College, Sadar and Institution of Engineers, Ramdaspeth. Visvesvaraya National Institute of Technology (VNIT) is helping the board to monitor and test the air. As per the protocol, the ambient air is being tested for usual parameters like particulate matter (PM) 10 and 2.5, Sulphur dioxide (SO2), oxides of nitrogen (NOx), metals and elements like lead, nickel, aluminium, barium, strontium and iron. “Till last year, we would do air quality monitoring for basic parameters. This is the first time we are carrying out an extensive 14-day monitoring for different parameters,” said MPCB’s sub-regional officer Hema Deshpande. The samples are being tested and analysed at the board’s laboratory in Nagpur. The results will be forwarded to the CPCB which will submit it to the Supreme Court. “For every parameter, we are recording 24-hour average readings at all locations,” said Dilip Lataye, professor at VNIT. “For all the pollutants, we are taking an average of three readings in order to get accurate results. It is important to assess the quantity of metals in ambient air. While they are used in crackers mostly for light effects, they pose a huge health threat when suspended in air after bursting of crackers,” said Vishwajeet Thakur, senior scientific officer and lab-in charge of MPCB, adding that many pollutants are responsible for causing respiratory ailments. MPCB also plans to assess the contribution of firecrackers in ambient air pollution. “For all the three locations, we have a baseline data for previous years. So, we will be able to compare the rise in pollution due to crackers,” added Deshpande. On Thursday, the board had conducted a pre-Diwali test for firecrackers during which it found that noise levels of all the crackers were within the permissible limit. Nagpur: Still have doubts about crackers being a major polluter? Such is its effect that the city’s air quality worsened by more than two times in just one day of cracker bursting. According to the real-time air quality monitoring data available with the Central Pollution Control Board (CPCB), the air quality index (AQI) of Nagpur rose to 169 by Thursday evening. Till November 6, the AQI was 75. AQI is the figure used to represent how polluted the air is. It is calculated based on four major pollutants — Particulate matter, ground level ozone, carbon monoxide and Sulphur dioxide. CPCB data shows that on the intervening night of Wednesday and Thursday, the air quality index of particulate matter 10 rose to a dangerous 451. The level of PM 2.5 also saw a rise. From an index of 60 till late evening, it increased to 122 in late night. Activists attribute the significant increase in pollution to crackers. “The heavy particles, emitted for crackers, increased the PM 10 levels and resulted in deterioration in air quality,” said Surbhi Jaiswal, team lead of Green Vigil Foundation. 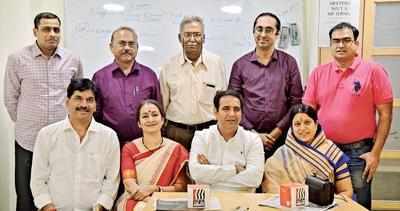 Nagpur: Most of the panellists at this month’s TOI debate said that Nagpur Municipal Corporation’s (NMC) unrealistic budgets are one of the main reasons for its financial mess. However, standing committee chairman Virendra Kukreja said that the budgets were not unrealistic. “Last year, the budget was Rs2,100 crore and the NMC generated revenue of Rs1,950 crore. Decisions are taken after proper calculations,” Kukreja said. He added that the civic body has around 12,000 employees and now that the government has decided to implement recommendations of the 7th Pay Commission, the financial problem of NMC is bound to deepen. “The government doesn’t ask us while taking such decisions. We are yet to clear 6th Pay Commission arrears,” Kukreja said. Countering Kukreja, businessman Darshan Maheshwari, independent corporator Abha Pande and Nationalist Congress Party corporator Duneshwar Pethe said that it was difficult to believe that the budgets aren’t unrealistic. “The municipal commissioner’s budget for this year is Rs2,046 crore while yours is Rs2,800 crore. How can there be such a huge difference of about Rs750 crore between the two?” Pande asked. Maheshwari said that though last year’s deficit of Rs150 crore appeared negligible as compared to the whole budget, it was still a significant amount. “This year, the NMC’s budget is Rs2,800 crore. Who will be responsible if the target is not met?” he asked. Blaming the current administration for NMC’s financial mess, Pethe said the civic body must refrain from undertaking fancy big-budget works like the Nag River project when it knows that it would be difficult to provide money for the same. Kukreja, however, maintained that he is confident that the NMC will be able to meet this year’s budget. “A Rs200 crore loan and Rs350 special grant of which the NMC has received Rs150 crore are included in the Rs750 crore,” he said. The state government is also set to increase the NMC’s goods and services tax (GST) grant, he said. 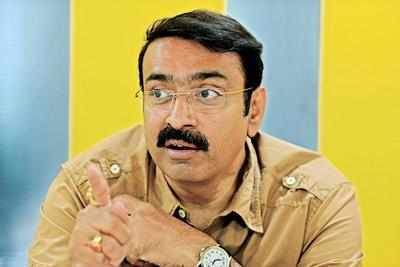 Taking up the issue of property tax, Pande asked why was the revenue from property taxes is estimated to be Rs500 crore when the civic body had recovered only Rs190 crore last year. “As of November 3, the NMC has collected only Rs130 crore property tax,” she added. Karade said that certain decisions that have been taken in the last decade or so are the main reasons for the NMC’s financial mess. “It all started in 2005, and by 2014, the situation was out of control. In 2015, we had assessed properties of as many as 80,000 people. But the whole work was scrapped at the last moment due for political reasons,” Karade said. Businessman Saurabh Mishra said it was wrong to increase property tax to raise revenue when property generally depreciates. Teacher Mallika Kaleem too said that the civic body must exploit other sources to increase its revenue rather than only focusing on property tax. From drinking water supply to maintenance of city roads, the NMC has failed to ensure quality works, which has increased its financial burden, Kaleem and retired government employee Arun Ingle said. Though Kukreja said it’s common knowledge that roads get damaged in monsoon and the NMC cannot repair potholes during rainy season as tar mines are closed during that period, Ingle said that poor quality work, not monsoon, is the reason for pothole-ridden roads. “The cement road from Hindustan Builders in Sonegaon to the airport build two years ago doesn’t have a single pothole. It was built for some visiting politician. So, if the material used for roads concretization is of good quality, there will be no potholes in monsoon,” Ingle said. Builder Pankaj Kriplani said the NMC’s move to go online is right but CyberTech system is inefficient. “I have not been able to upload a single plan for the last four months,” he said. The panellists suggested a number of reforms, from developing markets, timely tax revisions to bringing in parking charges and exploiting NMC’s properties, for boosting the civic body’s revenue. While Kukreja said the NMC is considering many of these proposals, the citizens must also cooperate with civic authorities and help in the city’s development. “We are tightening screws on OCW and bringing in many new policies. We are also going to sell treated sewage water to Mahagenco,” Kukreja added. Nagpur: Two days after Diwali, Chandrapur’s air turned out to be the most polluted in the state. The district recorded ‘poor’ air quality on Friday with particulate matter (PM) 2.5 being the prominent pollutant. The National Air Quality Index (AQI) data of Central Pollution Control Board (CPCB) shows that the air quality monitoring station in Chandrapur recorded an AQI of 214 on Friday, which comes under ‘poor’ category and can cause breathing discomfort to people on prolonged exposure. A day back, Bandra (Mumbai) had also recorded ‘poor’ air with an AQI of 235 which improved to 183 on Friday. On the second day of Diwali, Aurangabad had the worst sir with an index of 290 — Probably the highest of this festive season till now. Apart from it, Nashik recorded a ‘poor’ AQI of 263 on the same day. The CPCB displays data for nine cities of the state. In almost all these monitoring station, it is evident that the otherwise clean air started deteriorating significantly after the first day of Diwali. For instance, in Bandra, the AQI was varying between 88-129 about two weeks before the festival. However, it worsened by more than two times and suddenly rose to 235 on the next day of Diwali. Similarly, in Pune, the AQI, which was previously 99, went up to 186 after the first day of Diwali. From 75, the index in Nagpur increased by more than two times and was recorded 169 on the second day. According to environment activists, cities in Maharashtra might be more affected from air pollution caused due to firecrackers. “While in places like Delhi, crackers are burst only for a day, many cities in the state continue revelry for at least 5 days. The impact in this case on public health can be much worse as the smoke emitted from crackers contains cancer-causing agents,” said Sunil Dahiya, senior campaigner at Greenpeace India. Another trend common to most of the cities is that the levels of PM 2.5 and 10 entered the danger zones late in the night in the last two days. In Bandra, the air quality index of PM2.5 was 321 (very poor) around midnight and remained at 311 till 4am. On the intervening night of November 8 and 9, the PM10 index was as high as 500 post midnight in Aurangabad. In Pune too, both PM 2.5 and 10 rose to 500 close to midnight. “As the temperature drops in the night, the mixing capacity of the atmosphere decreases. Thus, the pollutants get trapped and their concentration in ambient air increases. They start dispersing slowly only when the temperature increases,” said Kavita Rattan, founder president of Green Vigil Foundation. Nagpur: The state urban development department’s (UDD) inaction is not allowing Nagpur Improvement Trust (NIT) and Nagpur Municipal Corporation (NMC) to take action against unauthorized buildings for years. The building of Haldiram’s Food International Ltd on Abhyankar Road at Munje Square, Sitabuldi is a fine example. For the last 11 years, the UDD has stayed the demolition of the building by NIT. This came to fore from the report of Gilani Committee, appointed by the Nagpur bench of Bombay high court to inquire into various irregularities by NIT. Retired HC judge MN Gilani’s report expressed concern over the state government’s inordinate delay in disposing off the case. “NIT issued notice on July 27, 2007 upon the owners to remove the construction not in conformity with the building plan submitted by them on January 17, 1998. This action of NIT was challenged by filing an appeal. The Government of Maharashtra, UDD, vide its communication dated August 24, 2007, stayed the notice by NIT. As per available records, the appeal has not been disposed off. It is very strange that the appellate authority is sitting over the matter for a decade,” Gilani said. Gilani also slammed NIT for its negligence. “It is surprising no efforts have been made by NIT to pursue the matter with UDD or the state government for expeditious disposal of the appeal,” he said. The report submitted to the HC last month says Sangeet Agrawal, a member of Agarwal Foods Private Ltd, which is now Haldiram’s, had purchased a plot of 5,894.52 sq ft (547.818 sq m) in 1998. On January 17, 1998, the owner submitted building plan to NIT. For over a year, NIT had not taken any decision on the plan. The owners had filed civil suit in the district court requesting directives to NIT for endorsement of deemed sanction to the plan. The suit was decreed against the NIT on March 14, 2001. NIT had filed regular civil suit against the judgement, which was dismissed on January 28, 2004. Then, NIT had filed a second appeal in HC, which is pending since then. NIT officials had then noticed that the building is not in conformity with the plan sanctioned by the owner, on January 17, 1998. Accordingly, NIT issued notice on July 27, 2007, directing the owner to demolish the unauthorized constructions. Gilani said, “The applicant does not get deemed permission just by asking or merely submitting building plan. The proposed construction has to be strictly in conformity with development control regulations (DCR). Building plan submitted by Agrawal and others violates the DCR in many respects. Therefore, it was not open for them to take advantage of provisions of deemed permission. Also, the construction is not as per building plan submitted by the owners itself,” he said. Rajendra Agrawal, one of the directors of Haldiram’s, did not respond to TOI call and messages. There was no response from the landline of his office too. Nagpur: It is said that parents, after they grow old, require as much care as they once gave their children. If that happens, then the transition to old age can be smooth and graceful. With the aim of gift-wrapping a carefree post-retirement life for the elders, Women’s Home Trust has decided to care for those who once cared for us. Their meticulous plans would certainly put a smile on many a wrinkled face. The trust has come up a ‘resort’ exclusively for the seniors. The trust is set to roll out ‘Soham’, a state-of-the-art old age home that will cater to the needs of senior citizens in luxurious style. The studio apartments, planned on 1.5 acre land in the heart of the city on North Ambazari Road in Sitabuldi, promise to make a fine cushion for old age. Varsha Manohar, president of the trust, says that their motto is to make available a secure, peaceful and yet vibrant sanctuary for senior citizens. Old age homes, these days, do not paint a bright picture. They are either on the outskirts of the city or, if in the city, they are in vertical buildings with very little space around it. The trustees of Soham wanted to do it differently. “No matter how much a senior was willing to spend, the facilities at these homes fell short as they had an institutional feel,” expresses Manohar. The infrastructure of Soham has been made considering the needs of specially abled seniors. “It can accommodate 64 seniors and each room is equipped with all the comforts of home which includes TV, fridge, AC, grab bars in attached toilets etc. There are plenty of open spaces, slip-proof walking tracks, a library and meditation and activity centre,” she says adding that the place is secured with 65+ CCTV cameras and a gated entry with security guards. Work on this aesthetically planned project has been on since the last three years and it is now in the final stage. The trust is planning to officially open this retirement resort for admissions by November. Many have given the trust a thumbs up for the concept. “They believe that they don’t want to be a liability for anybody. It is a choice that they want to make and not out of compulsion,” she said.